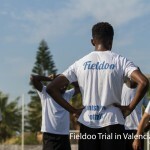 During the Fieldoo Challenge trial we spoke with Andrés Fernández, who has signed players such as Aleix Vidal and Angel Trujillo. Read or watch a video bellow on what Andrés had to say about the UD Almeria football academy, the way they find players and how modern scouting works. Almeria academy, »cantera«, is considered to be one of the best in Spain. What is the secret behind it? What makes Almeria academy so successful? Andrés: There are various things that form the success of our cantera in recent years. First of all, we place a lot of importance into our cantera team within the club’s structure. The club is very well organised and there is also significant importance on our methods on and off the pitch. We give considerable opportunities and dedicate our time to the cantera players to play and prove themselves for a spot in Almeria’a A or B teams. The consistency that is present in the club in the last 10 years regarding the people running the academy, the desire to follow a single philosophy and overall execution is some-thing that has to be noted. 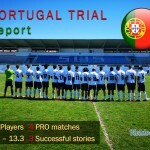 How do you find players for your »cantera« or Almeria B team? Andrés: Inside of the scouting department we have a special team of people designated to look for the best talent in Spain, particularly in geographic regions where we believe we have the best chances of find-ing players that meet our needs and are eager to join our academy programme. When we spot a player that fits our criteria, the scouting team will then follow and assess a player throughout the season and set up meetings to prepare specific plans for the next season. How many players do you have on try-outs and how many players do you sign on a contract in the course of one year or season? Andrés: At the moment, we have 18 players in our residency. These are players from other Spanish regions or even from other countries. Last year, we actually had 25 players in the residency. Every year we sign about 8 to 10 players from other regions and countries for our academy. For Almeria B we scout players through a direct contact and also through the help of intermediaries, for example on the Se-gunda B league level. Are there any foreign players in Almeria B or in academy teams? Andrés: Yes, we have foreign players in Almeria B. I think that at the moment we have 5 foreigners playing for our B team. We also have international players training or playing in our academy teams. Are there any specific football markets that interest you or from where you prefer to sign players? Andrés: There was one period where we focused on African players, but I also have to say that we are talking about African players that were living in Spain. Apart from that, we don’t focus on a specific market. The common fact is that all our international players were either living or playing in Spain when we contacted them. How do you see the future of football scouting? Will the internet influence its development? Andrés: Scouting players has indeed changed in recent years. Because it became much more globalised as an international business, you can now see players from all over the world. Spanish leagues are current-ly not the best example as the number of international players declined due to the complicated economic situation of many Spanish clubs. Actually more Spanish players play abroad now, as interna-tional clubs can pay more then fragile economic –wise Spanish clubs. How do you convince young players to join your club/academy? Andrés: It really depends on the age. Referring back to the scouting team that finds players for the academy, they need to compete for the talented palyers with top Spanish teams who, beside the reputation, have better economic conditions. We have to stand out and offer them a complete package that includes top educational services and better player assessments. Many times, our academy repre-sentatives are able to convince the parents to reject professional contracts from clubs and instead join our academy. For Almeria B, I would emphasise that we offer a player more playing time and definitely more op-tions to actually progress to the A team, which is not a common practice in many other clubs. What was the best player you signed for UD Almeria? Andrés: From the economic point of view for the club, I have to say Aleix Vidal. He joined our cantera coming from Mallorca B. We were lucky enough to convince him to come to our tryout stage. He had a fan-tastic tryout stage and he only played one game for Almeria B and from that we promoted him to UD Almeria top team. Then there are other players, for example, Trujillo who came on loan from Guada-lajara and later signed as a free player for our club. He played 5 years for Almeria B on a very high level. There are also examples of homegrown players who left a big impact, like the case of Marin or maybe Joaquin. Both players developed playing for all selections of UD Almeria and progressed to the level of playing for regional or national teams and of course they but made their debut as well for Almeria’s A team.